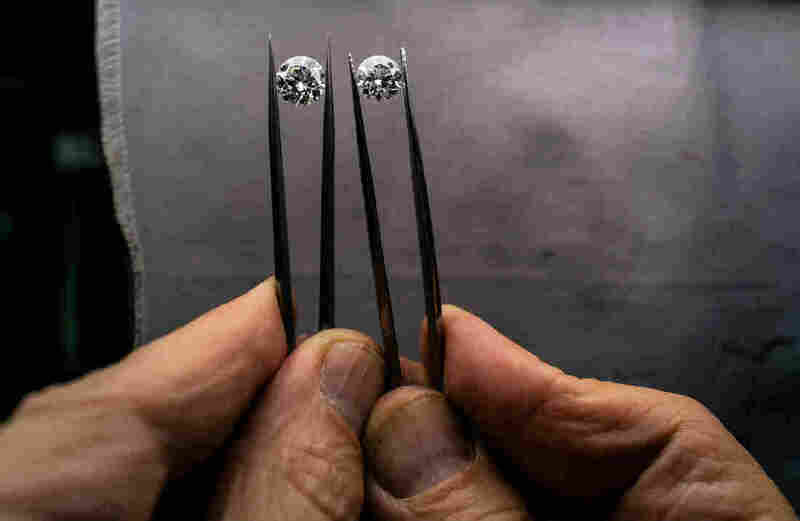 Lab-Grown Diamonds Sparkle Every Bit As Bright Commercial labs can now make the large, clear diamonds people prize for engagement rings and other jewelry in as little as 72 hours. 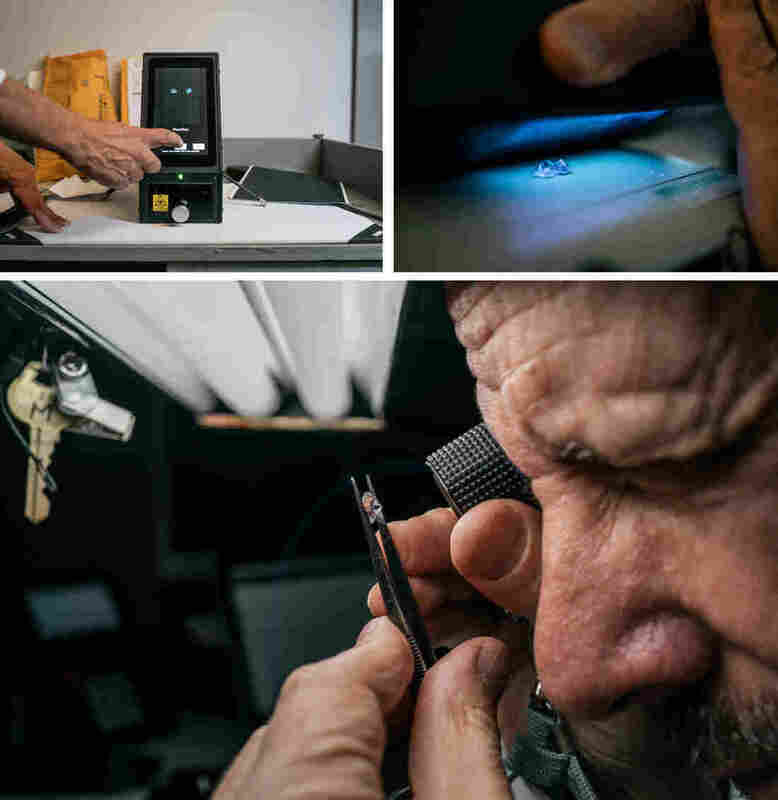 How will this change the diamond industry? 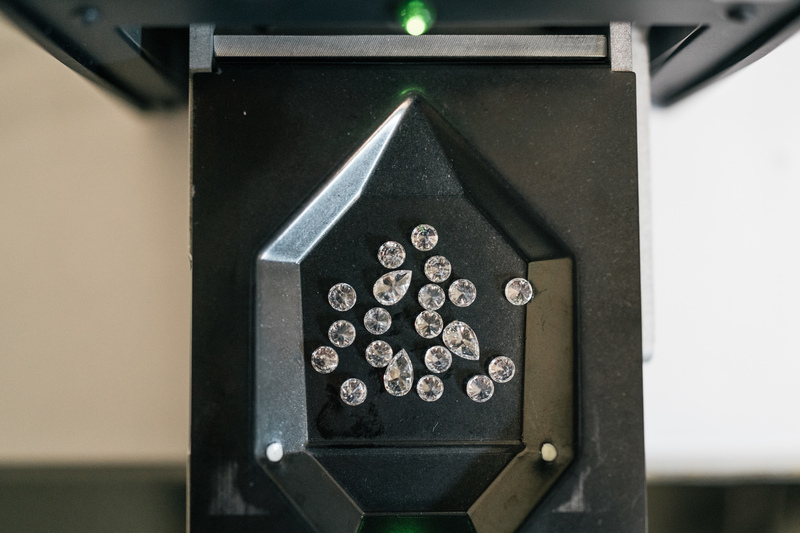 Lab-grown diamonds command about 1 percent of the global market today. But investment firms predict that market share could rise to as much as 15 percent in the next few years. Weinstein uses a selection of equipment to look for lab-grown diamonds, including (from top left, clockwise) a machine built by the De Beers company, ultraviolet light used to check a diamond's glow, and a traditional lupe. Weinstein examines the internal structure of a mined diamond (left) against a lab-grown diamond. Labs are now churning out large white diamonds that are indistinguishable from those found in nature. The diamond on the left is lab-grown, while the uncut version of the one on the right was created by millions of years of intense pressure. 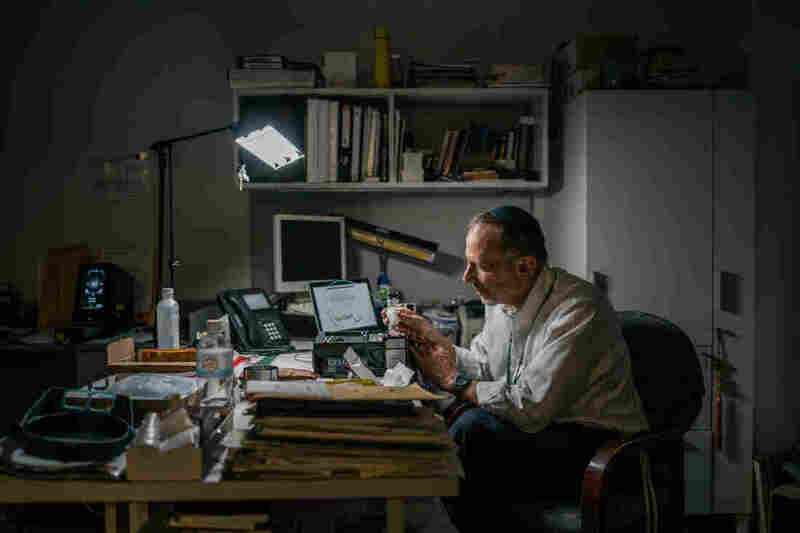 A previous Web version of this story described the International Gemological Institute as a nonprofit research institute. It is actually a commercial testing lab.